A rare emergency suit seen throughout Alien. One is clearly seen at the end when Ripley climbs into the white space suit prior to blowing the Alien out the airlock. Also visible when Parker and Lambert are collecting coolant just before they both meet the Alien! 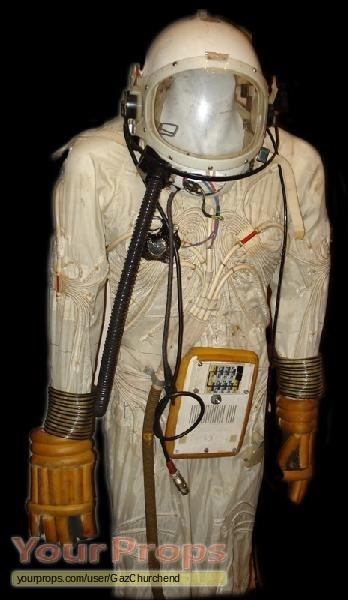 In reality it was a 1960's pressure suit. It still has the pilots name on the back! view all 51 items of "GazChurchend"
** The content of this listing is the sole responsibility of GazChurchend. Yourprops.com, its owners, agents and assigns assume no liability.